During the month of June, two passions of Reggie Miller will collide. Miller’s love for biking and cycling will be combined with his support of the Dropping Dimes Foundation, which benefits retired ABA players, to culminate in a custom biking uniform — or kit, as they are known. The kit is being manufactured by Castelli, and all profits from the Miller-inspired uniform will go to the Dropping Dimes Foundation, an organization Miller has been closely involved with for years. For Dr. John Abrams, one of the co-founders of the foundation and current Chairman of the Board, Miller’s active participation is a gift. Katie Araujo, Castelli’s Custom Team Manager for the Southwest Region, explained how the project came to fruition. Dropping Dimes Foundation: Donate Today! 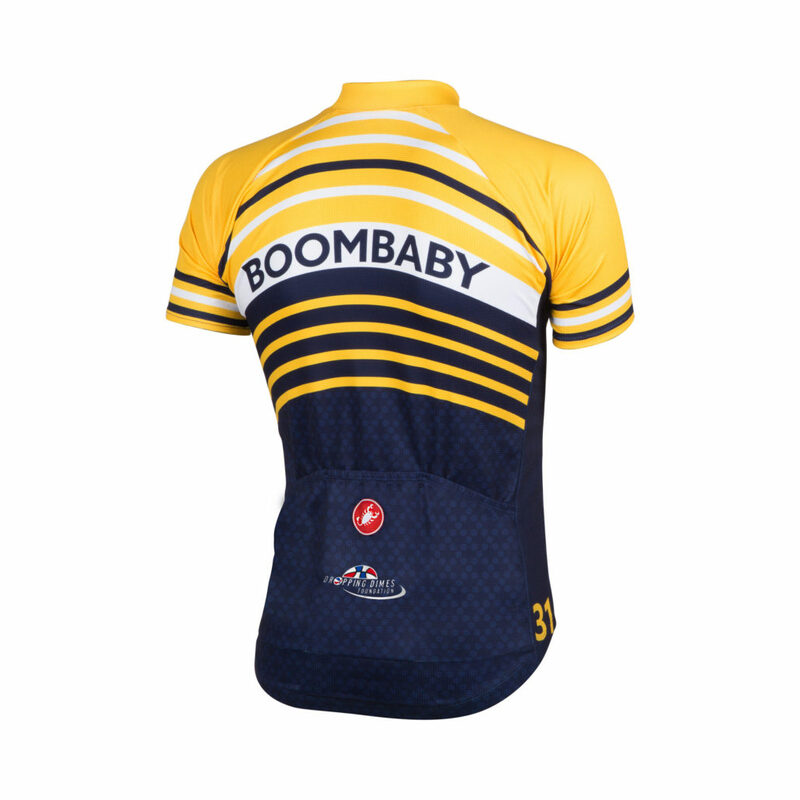 The result of the collaboration between Miller and Castelli was a kit featuring Bobby “Slick” Leonard’s signature saying “Boom Baby,” as well as a Pacers color scheme, the Dopping Dimes Foundation logo, and Miller’s number 31, which he wore throughout his Hall-of-Fame career with the Pacers. Miller, who still visits Indiana from time to time, is eager to hit the trails in his custom kit.